Read my post When did estate agents become marketers? to see how estate agency has changed, and why marketing is now your most important job. 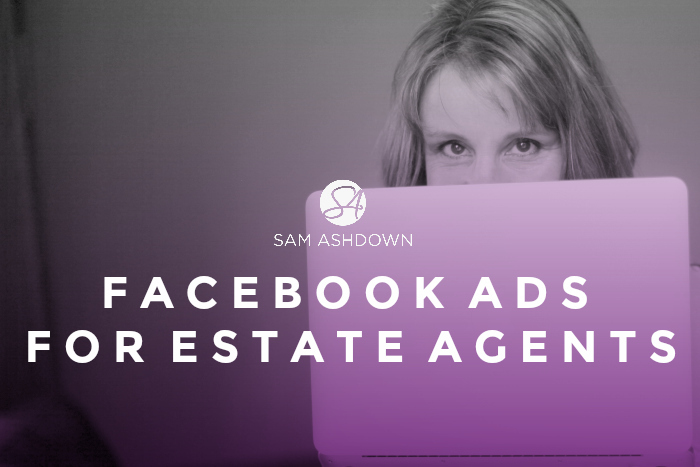 The why, what and how of advertising on Facebook as an estate or letting agent, to generate new enquiries and valuation opportunities. I speak to some of the very best estate and letting agents in the UK. I know this, because you have to be a pretty good agent to recognise that you need help. Ironically, it’s the struggling and unsuccessful agents who don’t realise my advice could help them turn around their business, and they are often too proud (or arrogant) to accept there might be another way to do it. These are the guys who will drop their fee to win the business, lower and lower, and then find they have no profit margin left. The agents I talk to who are doing it right value their service, charge a decent fee for it, and still convert highly in every valuation they go to. Their conversion skills and service levels are great; they just aren’t getting through enough doors. When they come to me for help, it’s not to ask for help with their conversion, but with their marketing. 1. Your phone isn’t ringing – enquiries are down massively. It’s never going to be like the good old days, where estate agents’ offices were always filled with the sound of a ringing phone; but phone calls from sellers wanting to book a valuation are pretty thin on the ground right now. 2. Marketing is getting more and more expensive – the number of regional and local newspapers has dropped by almost 70% since 2001, but the cost of advertising is still rising; canvassing prices have remained low, but the response rate has fallen to practically nil; many agents turn to sponsorship to build relationships and demonstrate local credibility, but the return can be hard to quantify. I spoke to an agent recently who is spending 35% of her turnover on marketing. And that’s without portal spend…. Facebook Ads could be the answer you’ve been looking for. Some of my clients have been trialling a Facebook Ads formula that is bringing them amazing successes. For those of you who have been following me for a while, you’ll know I talk about ‘marketing funnels’ quite a bit. A marketing funnel is a series of steps on a customer journey towards the purchase of your service, with each step designed to advance people to the next phase. The marketing funnel that is currently having the greatest success with my clients uses an online valuation tool, like ValPal, with a highly-targeted Facebook ad to drive traffic to it. You really can’t beat Facebook advertising for the super low cost, and terrific results. Facebook advertising is tricky to get right. I heard from an agent last week who managed to spend £350 on ads in just a week, with zero return. Another is spending £100 a month but seeing no results whatsoever. Inappropriate budget (wildly high or unrealistically low). The best type of advert to start with is a ‘Like’ ad. This is a great way to promote your page, and gets you used to the dashboard, and all the dials and knobs. As an added bonus, it’s much cheaper to advertise to your existing fans than to strangers, so a Like ad, which you can run from just £1 a day, can be an investment in your future advertising campaigns. This can be confusing, though Facebook have taken steps to improve it recently. When you go to create an advert, you’ll see three sections on the left hand side: Campaign, Ad Set, and Advert. Campaign – this is the WHY of your advert. What are you trying to achieve? You can select one of the 12 options Facebook gives you at this stage. Ad Set – this is the WHO and the HOW MUCH of your advert. Who are you trying to reach, and how much do you want to spend to do it? You can also decide the way you ‘bid’ for your advert, and create some custom audiences, using your database, or visitors to your website, but that might be a little advanced for some of you at this stage…..
Advert – this is the WHAT of your ad; the image and the text. Some images work brilliantly on Facebook, and some tank. You just have to test several versions, and kill the ones that don’t get responses. Facebook recently changed their 20% text rule, but it still remains best practice to keep text to a minimum on images, if you want your ad to be seen by the maximum audience. Don’t spend it all at once – the rule of thumb with your budget, is to start small and increase slowly. Best to start your ad with 25% of your maximum budget, and increase by 25% every three days until you hit your maximum, but only if your advert is bringing you results. Lifetime budget versus daily budget – Facebook have just changed their daily budget feature, from absolute, to average. In other words, if you want to spend £5 a day, Facebook may spend more some days than others, but still average your spend so that you only spend £35 in a week. This allows Facebook to optimise your advert, and maximise your results. However, I find that using the lifetime budget option is even better; this allows Facebook to spend what it needs to, when it needs to, to make sure your advert is not only getting the reach you want, but also getting actual clicks. Cost per 1000 impressions (CPM) versus Cost per click (CPC) – Facebook will always charge you more for a cost per action, like a click, as your advert may not perform, and this means they have given up the advertising slot but not made any revenue from you. So the CPC option carries a £5 a day minimum spend, whereas the CPM is just £1 a day. Until you test your adverts, you won’t know whether they perform at less than, or higher than, the Facebook average. I’ve had CPM ads that have run at less than half the cost of the more commonly chosen CPC option. Test yours and see what happens. The effectiveness of your ad is dependent on how warm your audience is. Your image and text need to reflect this. Hot – these people are already known to you; they are in your database, perhaps as previous market appraisals or buyers. They are much more likely to respond to your advert, and as your brand and probably face are familiar to them, make the most of this by using your image in the advert. Warm – these are your blog readers and social followers, who are aware of your brand, but have never interacted with you in a meaningful way. You need to solidify and build the relationship with them through your ad, using helpful information and advice they will respond to, and find useful. Cold – these are strangers to you, so your image and text needs to offer something compelling that they need. They don’t care about your brand, only the promise it delivers on. The text you use in your ad is super important, and you can only really find out what works by testing different variations of it. The trigger point is a word or phrase to capture the reader’s attention in the newsfeed. The standard marketer’s rule is to use one of ‘gain’, ‘logic’ or ‘fear’ to compel the reader to click.Eg – sell your home for more, faster. Solution – offer something that will help them in their current situation. Call to action – what do you want them to do? Text is tricky to get right. Your message needs to be compelling, but not salesy, and this will take practice. They are an untapped resource by most agents. If your competitor is using them at all, chances are they are doing it wrong. This is a fabulous opportunity for you to really up your game and take your business to the next level, without spending a fortune to get there. 1. Ignore the above and carry on as before. After all, you’re doing ‘ok’, right? Who’s worried about Purplebricks anyway…. 2. DIY – figure out how to create the four steps to implement your own social media marketing funnel. Just don’t waste a ton of time and cash in the process. You don’t have the expertise – unless you’ve spent the last 10 years studying and learning, like we have. Once you’ve got your funnel, you’ll have it forever. It’s evergreen, which means it will never go out of date. Because we’ve designed it that way. It’s an investment for your marketing future. Your marketing agency – if you have one – won’t understand the nuances of our industry like we do. Don’t reinvent the wheel – we’ve done it, proved it, and now we’re prepared to sell you ours, all done-for-you and wrapped up in a nice red bow. How much time are you spending on marketing that doesn’t work? The average agency owner I speak to is putting in at least 10 hours a week on leafleting, designing print adverts, prospecting calls and trying to figure out social media. And what’s really frustrating, is that not only are you spending all this time every week, but you have nothing of substance to show for it. Think about that for a minute: no more prospecting; no more leafleting. Instead of your team just sitting round waiting for leads, imagine if you could get them through more doors effortlessly, using a marketing funnel that will work for you for perhaps years to come. Imagine having those 10 hours a week back – for the rest of your career – what could you do with all that time? The Complete Content Conversion Funnel works for every size and type of agency, from Paisley to Portsmouth; Barnsley to Bath. We’ve even created and implemented a marketing funnel for a real estate client in Chicago. 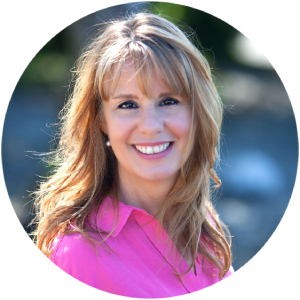 I’ve been perfecting marketing funnels for a decade, so that you don’t have to. I’ve designed them to be ‘evergreen’, meaning you can pretty much set it and forget it. In fact, my system I created and put in place five years ago still works for me today, and brings in new leads every week; and I haven’t touched it since I created it. Ready to take the next step before your competitor does? So if you’d love an always-on, lead generation machine, powered by the most cost-effective ad platform on the planet, magically creating new enquiries for your agency while you get on with listing and selling, get in touch now and take the next step to taking your content – and your agency – to the next level.